We arrived in Saint-Malo after spending roughly day and a half visiting the abbey at Le Mont Saint-Michel in Normandy, France. Our means of travelling to Saint-Malo were similarly hazy to those of Le Mont-Saint Michel, but after several rough French conversations and lots of hauling our luggage, we made it onto the proper train. The gare at Pontorson is incredibly small and we feared that we were not in the right place since we were the only three people in the entire station. However, should this happen to you never fear! Our train came right on schedule and whisked us away from the sleepy village right to the doorstep of rainy and blustery Saint-Malo. The presence of a steady rainfall and wind was undeniably similar to that of our time in Normandy, and once more I cannot stress enough how grateful I was to have a raincoat and boots. Read: pack appropriately. There was an easily distinguishable smell of salt hanging in the air, and the cries of the seagulls carried over the mundane sounds of everyday life. Some of these seagulls sounded like birds, but other cries were haunting. Perhaps the haunting nature of some of the cries could be linked to the dark history of the walled seaside city. Upon arriving at our hotel, which a taxi delivered us to, the man at the front desk gave us a detailed yet brief history of the city. The Northern city, which had always been a target for its wealth from shipping, had been occupied by the Nazis during the second World War. 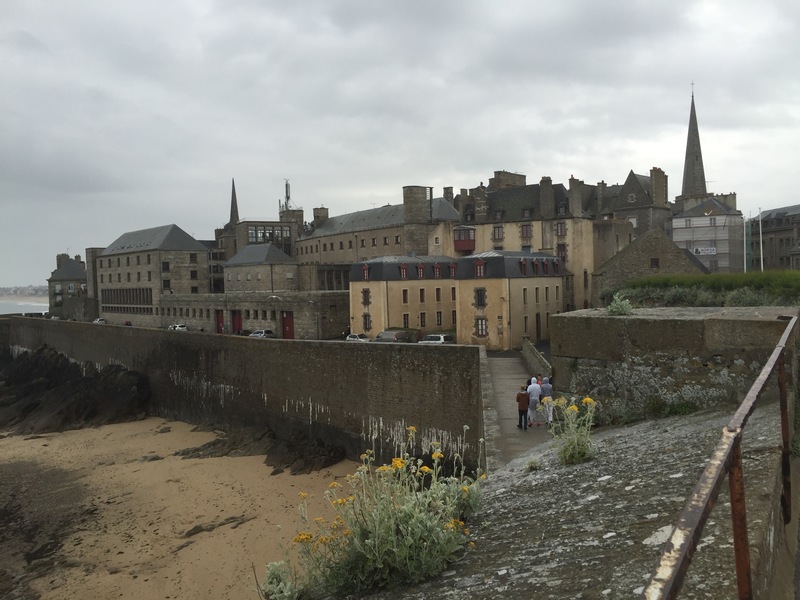 During this time, roughly 90% of all buildings in Saint-Malo were destroyed. The hotel we were staying in was not one of them, rather it was an impressive 416 years old. I do believe this bit of information was enough to give my mother the creeps for the one night we stayed. There is a strong presence of darker stone work seen in the architecture here especially compared to the lighter facades that are the trademark of cities such as Paris. To myself, it was reminiscent of a trip to Edinburgh, Scotland two years prior, but the visibly tall and steep roofs were undeniably French. same as in the States. Rather than a sausage of some sort, andouille here (which you will find if you make the same unfortunate decision as we did in ordering) are rolls of the large intestine of a pig. We explored the rainy streets and wandered around many a quirky store, some of which we found were incredibly similar to the American store Anthropologie. Our second night in the city was a national music night across all of France. While this did make finding a hotel room slightly more difficult, there were performances throughout the city for hours which left us with countless choices for evening entertainment. We also elected to take a ride on a carousel with vehicles none other than Captain Nemo’s Nautilus. After enjoying the carousel, we attended a music school’s recital in the cathedral. While all of the live performances around the rest of the city were fantastic (even the French-blue grass), the children’s recital offered us not only a spectacular view of a historic church but also an intimate glimpse into the everyday lives of those who live here in the city. Of course it would be difficult to go without stressing the beauty of the city’s beach and medieval walls. 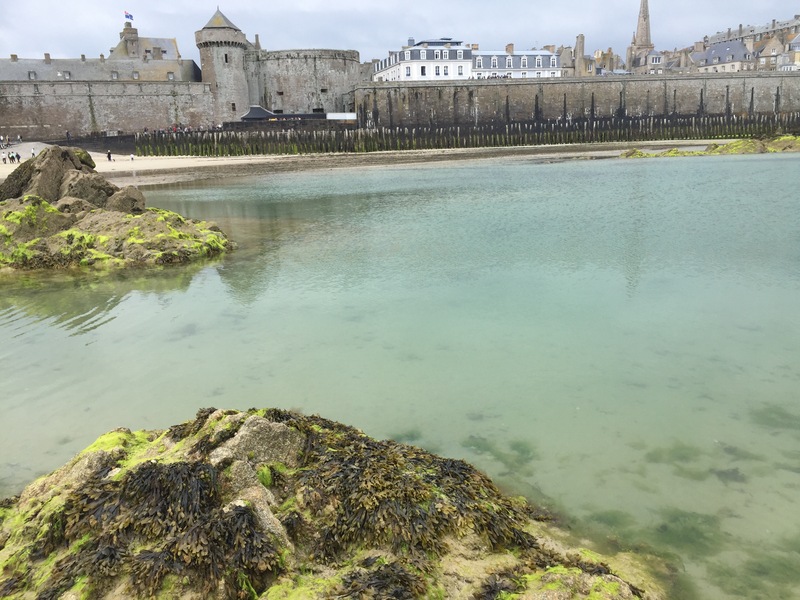 In both Saint-Malo and Le Mont Saint-Michel the tides come in faster than anywhere else in France; be conscious of the time when the tide will return. That being said, walking down along the beach, despite the chilly water and naked European children enjoying their “warmer” weather, is delightfully calming and makes any tourist feel appropriately small. There are enormous rocks absolutely covered in bright green clumps of beautiful seaweed all along the shores. Snails are abundant as well as in-tact sea shells. All of these factors create the perfect holiday for any international or French tourist. We only spent two nights here in Saint-Malo which was the perfect amount of time for us to really enjoy what the city had to offer. As the train ride back to Paris is several hours, this is not an ideal day trip. I would recommend planning for a beach weekend or perhaps 2 days during the week. Taking the extra time away from a Parisian-based vacation is, in my opinion, entirely worth it. 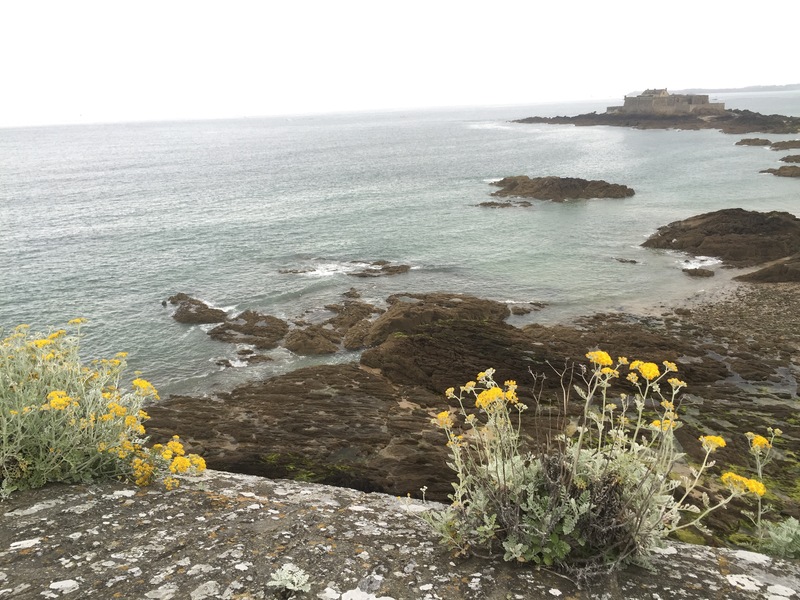 Saint-Malo offers a more relaxed, yet stimulating, alternative to hectic urban life. The beaches, medieval sites, and strolls along the cobblestone streets, all complimented by the echoing cries of seagulls, offer a haunting and simultaneously magical experience worth the stress of the journey, even if that journey is as poorly planned as ours.